• 1 ten frames clip card activity. 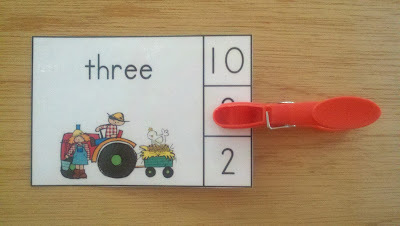 Print, laminate, and cut out the clip cards. You will need to supply 99 clothespins for all 5 activities in this packet. There is a math task and a choice of three numerals printed on each card. 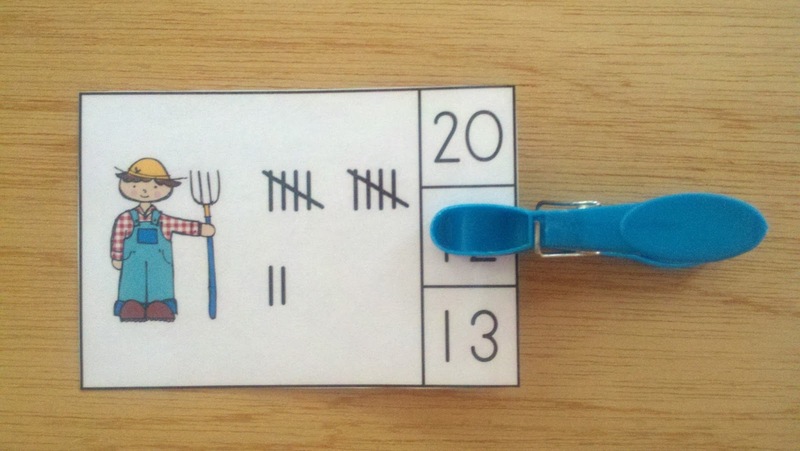 Learners clip a clothespin on the correct numeral for the task on the card or they can use dry erase markers to circle the correct numeral. You may opt to make these cards self-checking by writing the answer on the back or marking a dot on the back at the correct spot. 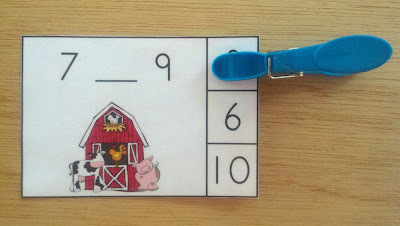 Farm Fun Math Centers help learners develop numeracy and support the Math Common Core Standards for Counting and Cardinality. Back to school rescource and chance to win! Dot Paint Ten Frames for Learning Fun! 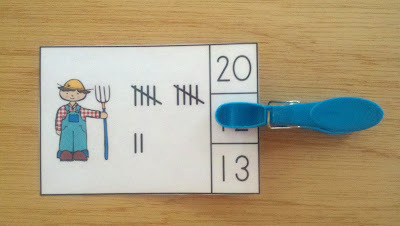 FREE CALENDAR - "2015 - 2016 Polka Dot Calendar"